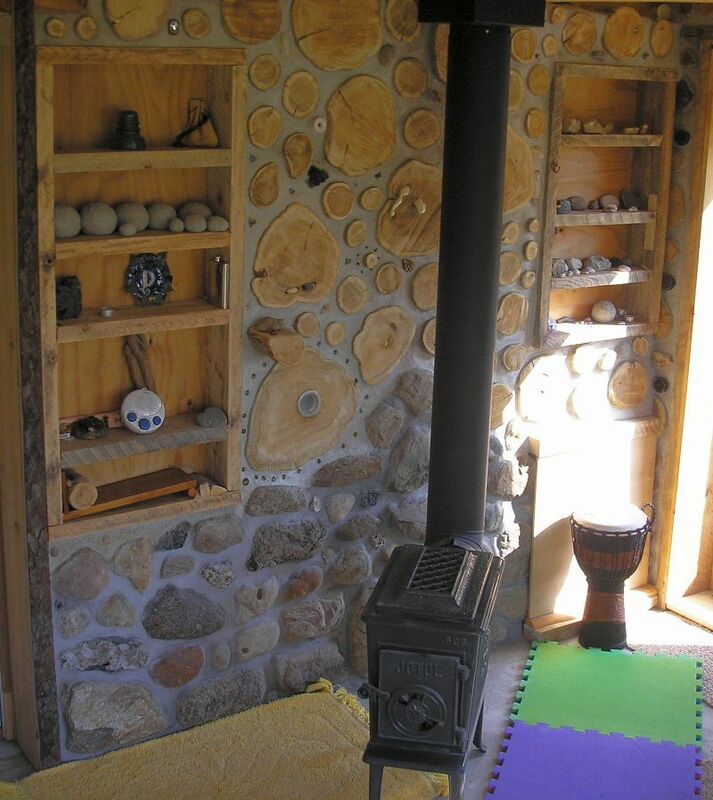 Tom Huber has been building cordwood for a long time. 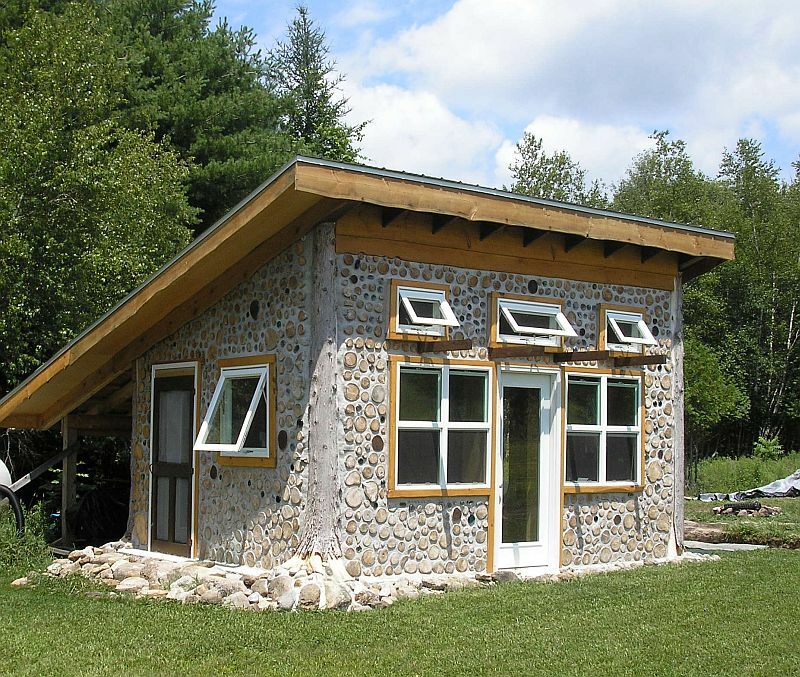 He sold his beautiful cordwood home in Watervilet, Michigan in 2005 when he moved to take a teaching position at Paul Smith’s College in the Adirondacks in upstate New York. 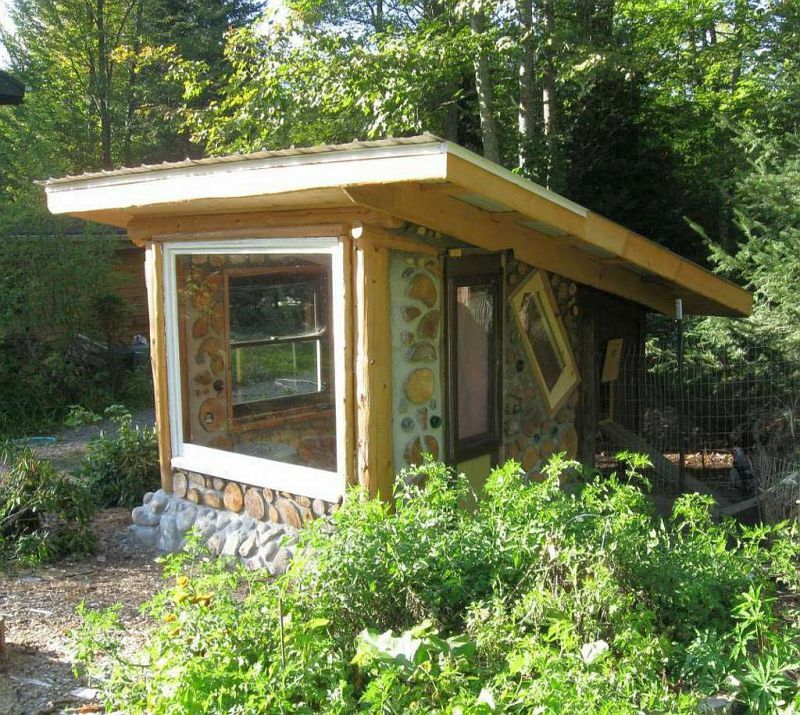 Once he found some suitable land he built a cordwood chicken coop (called the Super Coop). Tom wrote an article about it for the Cordwood Conference Papers 2011. 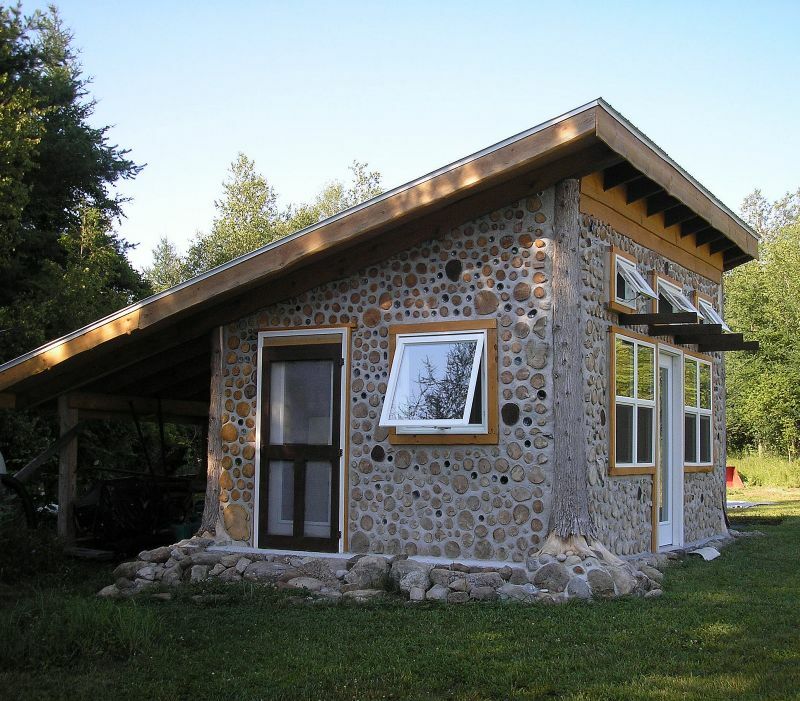 He then moved on to build a cedar cordwood cabin, with his daughter as apprentice and recently finished (mostly) the cabin. Here are a few pictures of the exterior and the interior. As you can see, Tom has some serious cordwood mortaring skills. Here is the lead quote from Tom’s article in the Cordwood Conference Papers. Cedar post and beam framework, cedar cordwood infill, stone stem wall. 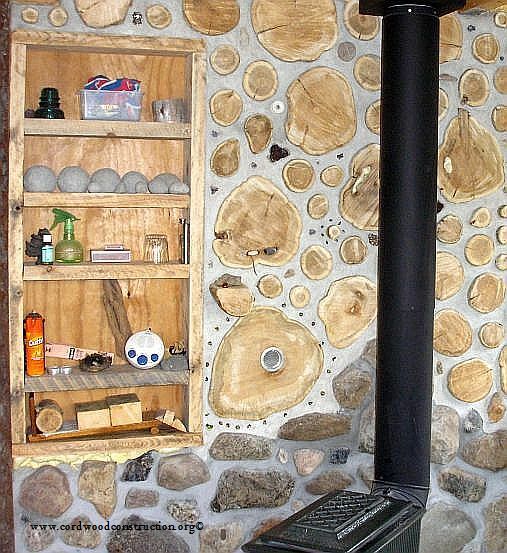 This is a close up of the stone and cordwood wall showing details of the “kchotchkeys” mortared into the wall.